Frequently asked questions about Ambrose E. Burnside. There are not any FAQs for this entry. 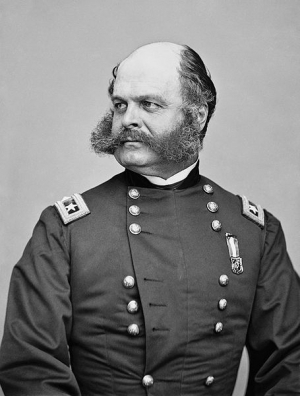 Ambrose Burnside was one of five generals to command the Union Army of the Potomac during the American Civil War. He also served as the commander of the Department of the Ohio, where he worked diligently to weaken Peace Democrat and Copperhead opposition to the Union war effort.